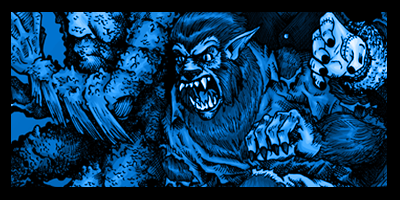 Today is the first day of HorrorHound Weekend! I will be there tonight and for the whole show through Sunday selling prints and doing sketches. I’d already talked about this a little bit and showed a preview of some of the prints that I will have for sale. Today’s drawing is the 4th print I will be selling at the show. A while back for Ok, PANIC! our topic was Universal Monsters. 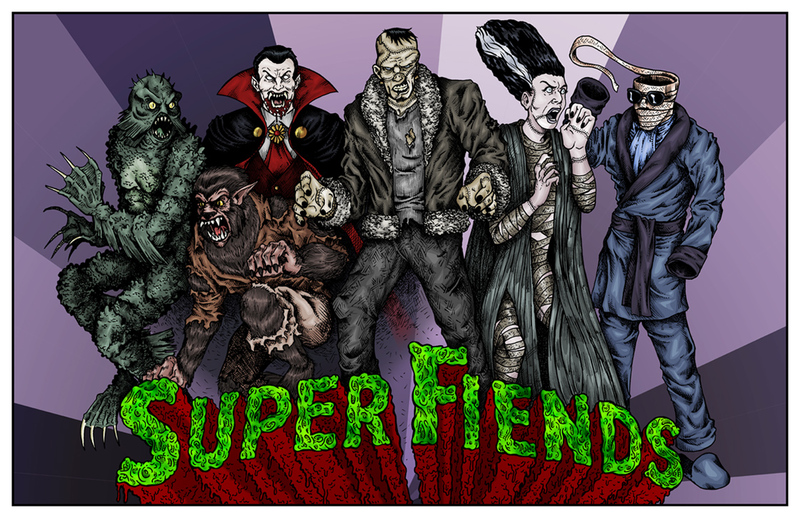 I love all the old Universal Monsters (except The Mummy) and this idea for a Monsters/Super Friends mash-up popped into my head. The original drawing I did got some love, but it’s a terrible piece that I barely put any effort into. It was ripe for a re-do, and that’s what we’ve got here. I’ve been working on this for a while and had to make a mad dash to finish it and get it printed for the show, which is why I stayed awake until 3am the other day. I’m an idiot. So come on out to HorrorHound Weekend in Cincinnati at the Sharonville Convention Center. I will be sharing a table with Kurt Dinse. Come by, say hi, buy some art and witness how two grown men will learn to hate each other over the course of three days. My pal Matt Brassfield will be there too, along with Baron Von Porkchop and the possibility exists that they might be taping a special episode of Terrifying Tales of the Macabre during the show. I’m super excited and work is just gonna be a drag to get to 4pm. No movie last night, I didn’t even bother to try to watch something. I can’t imagine I’ll watch anything over the weekend either. But hopefully I can get online and upload some drawings over the weekend and share some cool pics. Whoa, nice. Crossposting that other places. Congrats on 50 days btw. You the man.